A photo booth is the perfect addition to any event, whether you’re throwing a birthday party or planning your wedding reception. However, with many different photo booth rental companies to choose from, you need to make a wise decision. Before hiring a company, here are a few tips you need to follow. 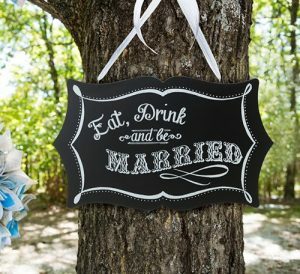 With these tips, you’ll be able to make the right decision for your big event. When renting a photo booth, make sure that you find out how many people the boot accommodates before making your decision. When you have a big event, you don’t want guests to have to wait in long lines to enjoy the photo booth. Some booths may only accommodate a couple people, while larger booths may easily allow more people in at a time. If the company only allows 2-3 people in the booth at a time, consider having multiple booths on hand or hire a company that provide larger photo booths to accommodate all your guests without a problem. Photo booths lose all the fun if guests have to wait for an hour to take pictures. It’s also a good idea to ask the company about the quality of the camera and printer used in the photo booth rental. This is so important, since it will affect the quality of the pictures or any online photos if applicable. Consider looking for booths that use professional photography cameras that offer high quality images. You’ll also want a booth that has a quality laser jet or sub-dye printer in it to offer great photos. Find out if the photos from the booth can be placed online for guests as well. Next, check to see what’s included in the rental packages before renting a photo booth from a company. Some companies will offer packages that come with unlimited photos during your event. However, other companies may only include a certain amount of photos in the package. Ask about any additional fees for deliver and setup as well. You’ll want to know how much you are going to pay before you decide to rent the photo booth. There are different photo booths for different instances, such as a wedding photo booth rental, party photo booths, corporate photo booths. Since you probably need to book the photo booth rental well in advance, it’s a good idea to find out how long the company has been in business. You don’t want the company to go out of business before you get to enjoy your rental. Consider companies that have a couple years of experience under their belt. This way you can count on the company being around when you make a deposit on a photo booth rental. Photo booth rentals offer plenty of fun and excitement for any event. Make sure you keep these tips in mind and you’ll find the right company to deal with your photo booth needs.